This contemporary sectional's design features Mid-Century Modern influences, making it the perfect way to bring a stylish flourish to your home. 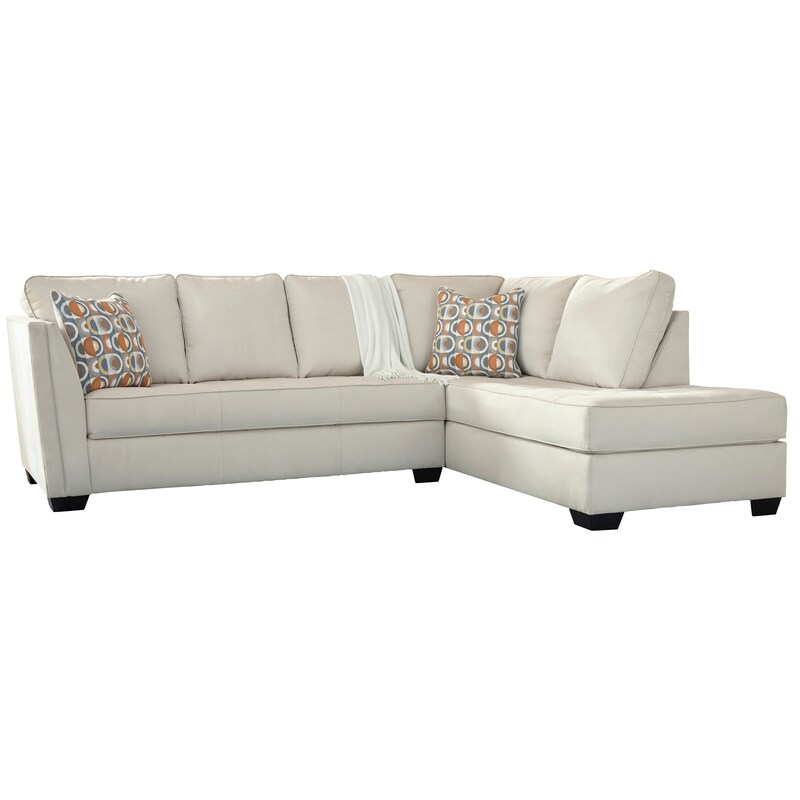 Other features, such as the seat cushions with slight tufting and the flared arms, complete the look of this sectional sofa with a look you will love from years to come. The Filone Contemporary Sectional Sofa with Chaise and Cushion Tufting by Signature Design by Ashley at Miskelly Furniture in the Jackson, Pearl, Madison, Ridgeland, Flowood Mississippi area. Product availability may vary. Contact us for the most current availability on this product. The Filone collection is a great option if you are looking for Contemporary Casual furniture in the Jackson, Pearl, Madison, Ridgeland, Flowood Mississippi area.